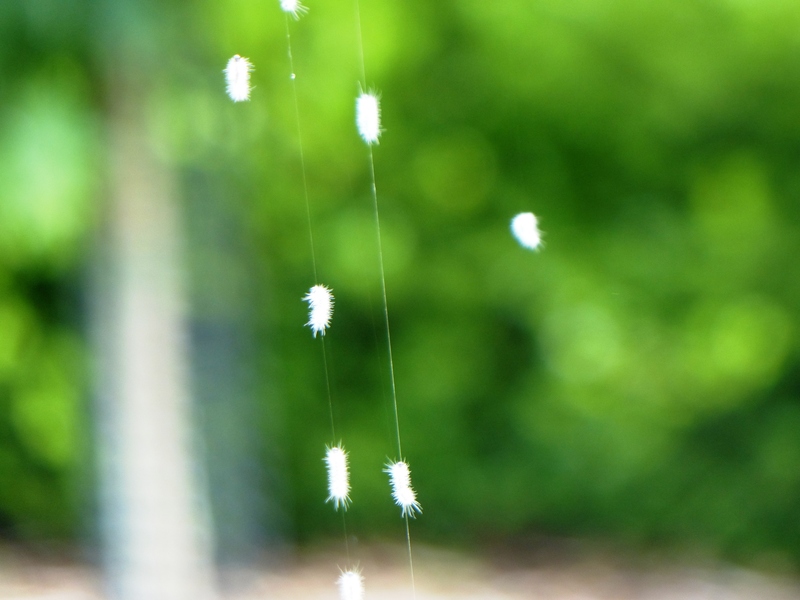 Hickory tussock moth caterpillars are electronically suspended forever in the real-time of early June Secrest Arboretum. A turkey hen and two poults resided in a frontyard silver maple until taking up regular roost 40 feet or so up in one of our backyard green ashes. A cicada-killer wasp prepared for takeoff in a Maryland marsh. A katydid was caught up in a Joe Boggsian butterfly net. A squirrel was splayed out, taking a rest in 104-degree Fort Worth heat. Erik Draper’s arm hosted the aptly-named leaf-footed bug. Lichen Man, the most mysterious beast of all, emerged in the evening light of the ChatScape. But for poignancy, we return to the turkey hen and her poults. This past morning we did our part for the green industry, $3000 worth of ash removals after emerald ash borer attack and rapid conversion into “brittle”, hazardous ash trees. This evening the turkeys seemed adrift, looking for their recent roost. Finally, they flew upward, to a different silver maple nighttime home. "Turkeys, quails, and small birds, are here to be seen; but birds are not numerous in desert forests; they draw near to the habitations of men, as I have constantly observed in all my travels." – William Bartram.